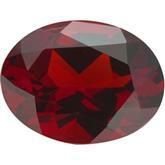 Glowing deep red with hints of orange and brown, Garnet reminds us of an autumn harvest or Indian Summer. This stone, believed to bring healing to its wearer, was once exchanged by friends to demonstrate their affection and to ensure they would meet again in the future. Appealing to those who seek a sophisticated look, Garnet enhances designs that blend the exotic flavors of India, Africa, and the Orient. Purple Passion. From refreshing lilac to ripe plum, the drama and excitement of purple are fully reflected in Amethyst. 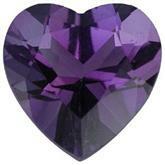 Amethyst has always been associated with intense emotion. The stone is believed to bring to the wearer such things as: healing peace love courage and happiness. Ranging in color from deep purple to pale lavender, Amethyst always has wide appeal amongst its wearers. The darker shade attracts those drawn to worldly dreams while the lighter tones are favored by those more serene. Deep blue aqua. Ranging in color from a pale blue to a deep aqua blue, even teal. 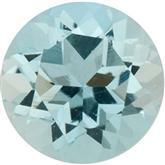 Aquamarine is said to endow the wearer with foresight, courage, and happiness. It is also believed to increase intelligence and make one youthful. Sailors often wore aquamarine in hopes of keeping seasickness at bay. It was also suspected to keep one safe on the sea. Lightning sparkle. 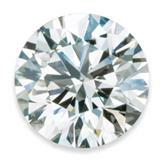 Often thought of in only a white or clear color, Diamonds also come in almost any color, yellow, blue, green, brown, orange, chocolate, black and red. Satisfy your desire with a color all your own. Let us help you quench your thirst with a colored diamond that has your signature. It is thought Diamonds represents everlasting love and bring the wearer protection and power. Diamonds are often thought to represent innocence and consistency. Therefore are commonly used in modern engagement rings. Entrancing emerald. Emeralds are said to once be Cleopatra’s favorite stone. The deep green emeralds are thought to bring the wearer fertility, rebirth, and love. 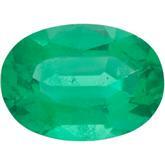 Emeralds are also associated with wisdom, growth, and patience. Alexandrite's mysterious stimulating and endlessly fascinating. 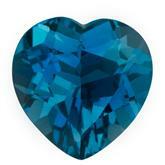 Alexandrite attracts buyers of all ages from Baby Boomers to the younger generations. The changing hues of Alexandrite enchant the eye and fuel the imagination. Because of its ability to change dramatically in shifting light, Alexandrite has become associated with Balance in life, self-esteem and the ability to experience Joy. Deep red ruby. Rubies were regarded by ancient Hindus as the “King of gems.” The ruby was believed to grant the wearer protection from evil. 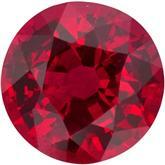 The ruby often signifies love and passion. Peridot’s freshness invigorates and delights the senses. Intense and dazzling, its juicy color finds appeal across the generations. Romans named this gem “Evening” Emerald.” Its brilliant color did not fade in lamplight: it seemed to glow in the evening hours. Peridot was believed to help dreams become reality and to drive away the evil spirits of the night. 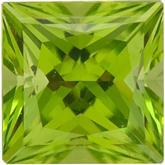 The green-apple crispness of Peridot is a perfect complement to today’s fashion scene. Stunning sapphire. Often deep blue in color were favorites of priests and kings. 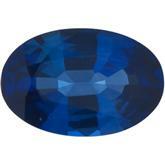 Sapphires are said to guard against evil and poisoning. They are also said to give the wearer purity and wisdom. 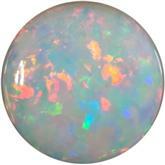 Opal is said to be the stone of love, but only to faithful lovers. Unfaithful lovers be warned it is said to bring misfortune to those who stray from their partners. It is also believed to be the most powerful healing stone, and connect the wearer to the sea. Yellow Citrine, Golden quartz whose name comes from the French word for “lemon”, Citrine brings the energizing refreshments of an icy summer. The olden belief thought this gem could protect against various evils- from snake venom to wicked thoughts. Today’s belief holds that the stone brings creativity and personal clarity. 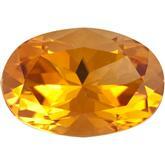 Citrine ranges from slightly golden yellow to a medium gold showing hints of orange. Blue is the color of communication and self expression. The clear, voluptuous of the mid-summer sky Blue Topaz brings a breath of fresh air to contemporary jewelry designs. The ancients prized Topaz as a stone of divine majesty. It was believed to dispel enchantments, detect poisons and even render the wearer invisible at will.